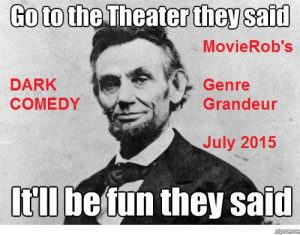 I participated once again in MovieRob’s Genre Grandeur for July, where the theme was Dark Comedy. A great focus for me, as I knew the perfect movie to talk about. Head on over now to check it out! Thanks again to Reut of Sweet Archives. for choosing this month’s genre. Next month’s Genre has been chosen by Steven of Past Present Future TV and Film We will be reviewing our favorite B&W films prior to 1990. Please get me your submissions by the 25th of August by sending them to b&w@movierob.net Try to think out of the box! Great choice Steven! 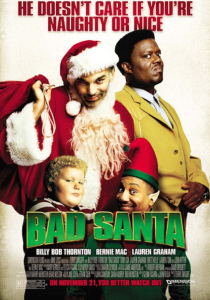 Brief Synopsis: A miserable conman and his partner pose as Santa and his Little Helper to rob department stores on Christmas Eve. But they run into problems when the conman befriends a troubled kid, and the security boss discovers the plot.